IDW GAMES TO ADAPT TEENAGE MUTANT NINJA TURTLES INTO BIG BOX ADVENTURE BOARD GAME! Today, IDW Games announced a big box Teenage Mutant Ninja Turtles adventure game complete with sculpted miniatures that is going to shell shock gamers. Debuting in early 2016, the game will let players step into the roles of their favorite Turtle or ultimate villain, Shredder. 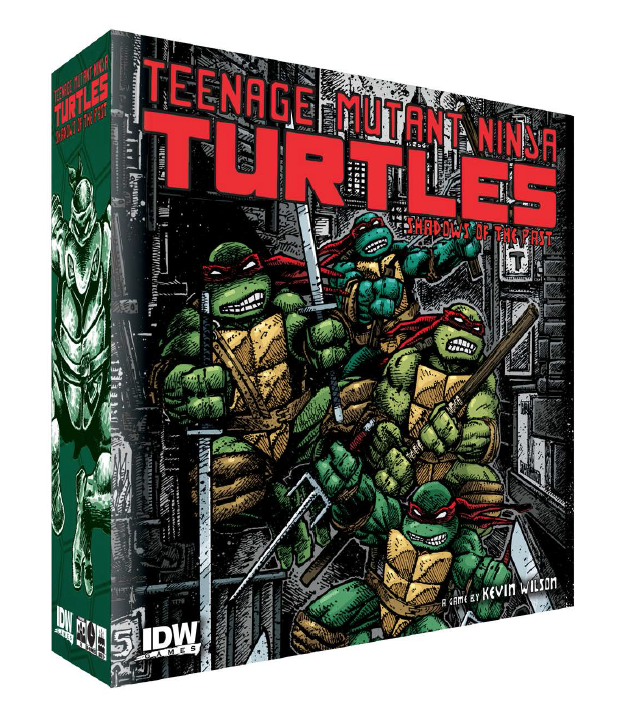 Designed by Kevin Wilson with input from IDW’s Teenage Mutant Ninja Turtles creative team, franchise co-creator Kevin Eastman, Bobby Curnow, and Tom Waltz, the game will be available in a standard and special limited-edition format, featuring artwork by Eastman. Teenage Mutant Ninja Turtles: Shadows of the Past will be a scenario-driven campaign game that features story content from the hit ongoing IDW comic. Two to five players will battle their way through a series of 60-90 minute missions where players develop their characters strengths, fighting styles, and equipment along the way to create a lasting story arc. Fan-favorite characters like Casey Jones and Alopex will appear throughout the missions, as the Turtles call on their closest allies for help in battling their deadliest foes. Expect to see plenty of overlap between the ongoing comic and the board game as game previews and exclusive content begin to show up in the back of the hit ongoing series. Contributions from the creative staff of IDW’s hit TMNT comic will make this board game come alive in ways not seen in past adventuring games. From expansions based on different micro-series and ongoing events, to character expansions featuring IDW’s awesome line-up of heroes, mutants, and miscreants, the turtles have never been more ready for adventure!